A Spanish renewable energy company has opened three thermal solar plants in the province. The plants which use solar-heated salt to drive turbines, produce enough electricity to provide power to just short of a million people, or almost the province’s entire population, according its operators. That represents an important shift in a country that suffered power shortages as recently as 2015, but that now has excess power to sell to neighbouring southern African countries. Just as important, the plants have provided new jobs in a province with one of the highest youth unemployment rates in the country, at more than 40 per cent, according to U.N. officials. They recognised the clean-energy project at climate change talks in Bonn in November as a creative model for bringing scarce private cash into renewable energy projects in Africa. The first solar steam plant – KaXu Solar One, opened in 2015 in Pofadder – provided about 80 new permanent jobs, and about 1,700 temporary jobs, according to Sarah Marchildon, a spokeswoman for the U.N. climate change secretariat’s Momentum for Change initiative. The other two plants, including Xina Solar One, completed last year in Uppington, on the banks of the Orange River, have created another 45 permanent and 1,300 temporary jobs, she said. “The region is now benefiting from stable, clean energy, and we are happy to have played a role in helping to solve South Africa’s electricity needs and improving the nation’s sustainability and energy security,” said Gerardo Rodriguez Pagano, the general director of Abengoa South Africa, which developed the plants. 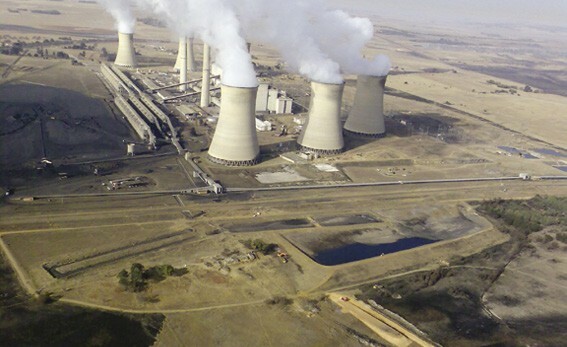 The power plants – jointly owned by Abengoa S olar, the government’s Industrial Development Corporation and a community trust – are part of South Africa’s push to cut its climate changing emissions by 2030, in line with its promises under the 2015 Paris Agreement. In 2011, the government announced plans for 28 renewable energy projects around the country. The solar thermal technology is generally a more expensive way to produce clean energy than traditional wind or solar-panel energy, said Kruskaia Sierra-Escalante, a Finance Manager with the International Finance Corporation, a World Bank group organisation that provided part of the funding for the project. But it produces a more stable and predictable supply of power as sun-tracking mirrors concentrate the sun’s rays to heat salt, which is then used to produce steam that powers turbines to produce electricity. Energy can be stored both in molten salt and as electricity in batteries, something crucial to building a reliable power grid, Sierra-Escalante said. Because both wind turbines and solar panels provide energyonly when the wind blows or the sun shines, clean powersources that can provide energy at other times - such as solarthermal technology that stores heat - are considered key to stabilising clean power grids, experts say. 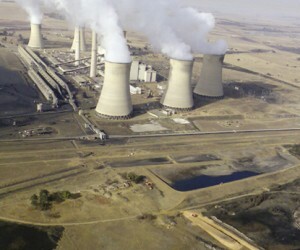 The World Bank came under huge criticism in 2010 when it agreed to provide a $3-billion loan to help South Africa build Medupi, one of the world’s largest coal-fired power plants, as world leaders were trying to seal a global deal to curb climate change. The World Bank has since agreed, in 2013, that it would finance coal plants only in unusual circumstances, when there are no reasonable alternatives to meet basic energy needs. The solar project, with its mix of public and private finance, is seen as a model for helping boost large-scale clean energy projects in Africa. “By involving private sector funds to begin operating in an emerging market, the KaXu Solar One project is an innovative and transformative financial solution that addresses climate change,” Marchildon said. “Leveraging private sector finance has proven to be a major obstacle for the funding of renewable energy projects in emerging economies,” she told the Thomson Reuters Foundation. Up-front costs to build large-scale solar plants are significant, and international investors can be hesitant to jump into developing markets, she said. But solar projects, once put in place, have lower operating costs, she said, which can be a draw for investors. Pagano, of Abengoa South Africa, stated that the Northern Cape’s sunny conditions – the best in the country – were the reason to put the first solar thermal plants there, but the company would be open to looking at replicating the plants in other areas of South Africa. “We are more than willing to participate in new projects in the country if the conditions allow it,” he said.